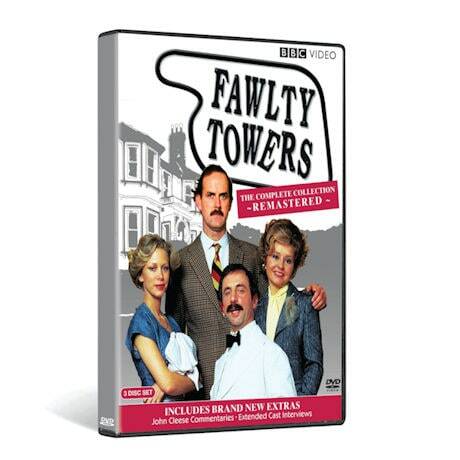 Voted the #1 British television series of all time by the British Film Institute, this uproarious Britcom stars John Cleese (Monty Python) as Basil Fawlty, a sharp-tongued, short-fused innkeeper. His life is plagued by dead guests, hotel inspectors, and his "little nest of vipers"—Sibyl, his shrewish wife (Prunella Scales, Mapp & Lucia). 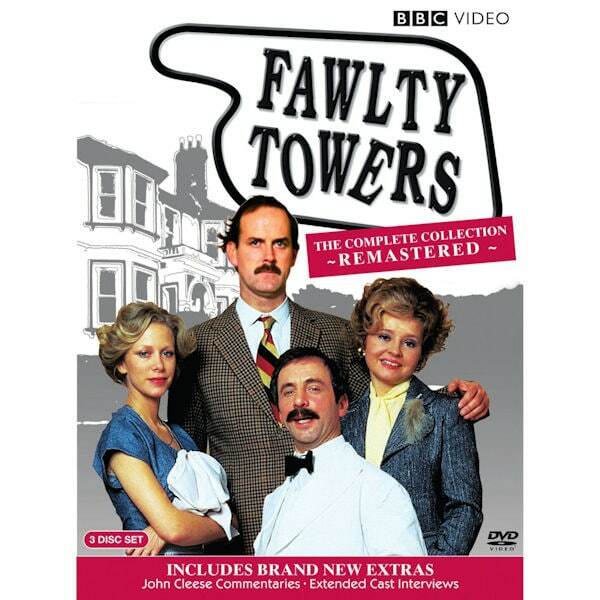 Newly remastered set includes all-new commentary from Cleese on each episode. 12 episodes, 6 hrs, 3 DVDs.